A slow Android device can cause considerable frustration. Fortunately, a variety of speed booster Android apps exists to help achieve increased speed and better response. Please know, however, that the biggest impacts on your Android device's perceived speed is the CPU, RAM, and graphics hardware it's sporting, not a few extra files here or there. That said, running these apps every now and then can help keep your device clean and prevent bloating that can happen over long periods of time. Easy to transfer data to the cloud if you don't want to get rid of it entirely. Provides a detailed overview of all your files. Bloated setup process tries to install additional apps on your device. Contains lots of ads and pop-ups. Avast is a well-known name in the desktop security industry, but did you know the company also makes a phone booster app? Surprise! It does. This cleaning will serve as a speed booster for your Android. Avast features a "Safe Clean" feature that cleans up system caches, unnecessary data, installation files, gallery thumbnails and residual files. Unfortunately, you must sign up for an account after one month, and Avast's cloud reputation pales in comparison to the likes of available alternatives like Google. Detects fake Wi-Fi connections, which can slow down your Android and internet surfing. Ability to "hibernate" running apps improves your Android’s speed and extends its battery life. Eats through your battery life when battery saving mode isn't on. Accumulates cached data in RAM, which can slow down your phone depending on when it's in use. Clean Master is one of the best-known phone booster apps out there. It has over 500 million installs on Android alone. Among Clean Master's strengths is its free antivirus, with the ability to detect viruses and remove them. Viruses can play a role in slowing down your phone, which is why Clean Master serves well as a speed booster app for Android. Optimize battery, storage, memory, device security and performance with one tap. Detailed log tells you the amount of storage space cleared, in addition to whether any abnormal battery usage, app crashes or malware apps were detected. Its potential to convince users that their performance level should always be at 100 percent. Rather than telling you when cleanup should happen, the 100-point score may cause some to worry more than necessary. Another phone cleaner option you have is one that comes built-in to Samsung Galaxy devices. The Device Maintenance feature on these phones is like a ready-to-use phone booster. Samsung's native device management feature enables users to access device information and monitor its current performance. Just go into your Samsung phone's Settings and click Device Maintenance. The tool will provide you with a score out of 100 that determines your phone's maintenance status. While that may be ideal, stressing over a perfect score can be a time-waster and very unnecessary. Every action you make on your phone tends to accumulate space, though it's nothing to worry about until it collects to a certain point. Frees up space and provides a speed boost with a single tap. Helpful for deleting extra clipboard content, browser history, application cache and old call logs. Hogs background resources, consuming RAM and battery. The download page is misleading as it suggests the program costs money to use, but it doesn't. Like Avast, CCleaner also has a booster program for your desktop. You ​can even buy a Pro version of CCleaner for $19.95. Many are familiar with CCleaner on their desktops as a very useful space optimizer. The app is also available on Android, providing the ability to uninstall unwanted apps with ease. It tends to be a resource hog while running tests, which may be automated. So, some people may prefer to use their file manager to delete unwanted programs, instead of having a background process running routinely that results in a slowdown. Includes antivirus and a network boost, which helps display Wi-Fi security, download/upload speeds and networking devices. Added transparency for connecting to a network is beneficial for those using their Android on the go. Some users report Cache Cleaner-DU making their phone slower than before. Irrelevant ads appear within the app. Cache Cleaner-DU has over 100 million installs on Android devices and 4.5 rating, making it a reliable phone booster option. Touting more than 230 million users, DU Speed Booster & Cleaner provides a speed boost through cleaning of cache and junk, including the detection of stealthy apps and redundant background tasks. Optimizes everything from your games to your photos, while also providing the ability to close unwanted apps with a single tap. Values simplicity and efficiency in enabling users the ability to clear and optimize without stressing. Tends to over-do itself in some instances, picking up photos or apps that are far from irrelevant. Users must be careful when going through what the app designates as junk since the cleaner is less selective than other apps. 360° Booster & Cleaner hosts an abundance of features that ultimately result in your Android receiving a speed boost. This phone boosting app can be used to remove junk files from your phone, as well as uninstall apps you don't want. Trusted brand with outstanding technical support. Removes old Android Package (.apk) files, which most apps overlook. Doesn't offer backup capabilities, which many other apps do. Norton, like Avast, is another well-known name in the anti-virus industry. Now, Norton offers a mobile app to clean and speed up your phone, too. Available for Android OS 4.1 or later, it features an app cache file cleaner and junk remover. Monitors your Android's CPU usage, CPU frequency, GPU usage, RAM usage, network activity, disk I/O activity and more. Includes a cache cleaner, process killer, battery health analysis and temperature monitor. Lacks some of the more comprehensive features of other Android booster apps. Some devices must be rooted before you can take advantage of all features. Simple System Monitor is a phone booster app that graphs the CPU usage of your device, as well as clears your phone's cache and RAM. 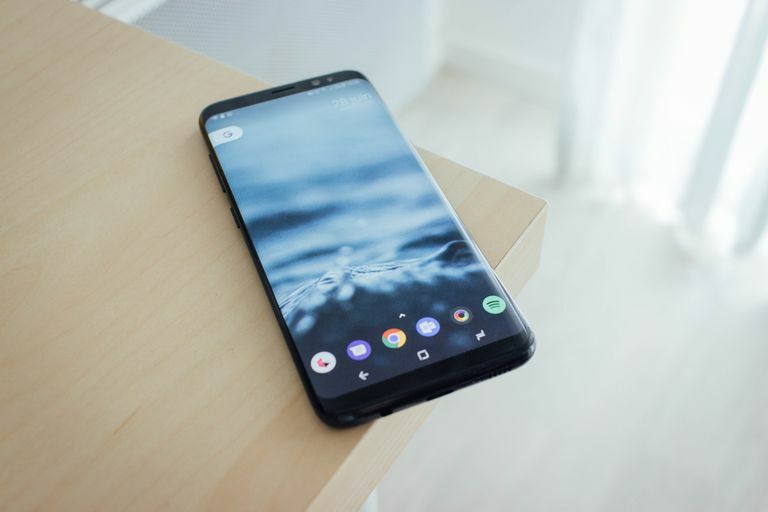 For users who want more control and wish to repair things on their own, Simple System Monitor provides insight that can help them achieve independent speed boosting for their Android devices. Can be set up to reclaim disk space on an automated schedule. Gets rid of internet tracking traces, resulting in speedier browsing experiences. RAM management is mostly superfluous considering Android's built-in RAM management capabilities. Similar to many of the other apps on this list, Droid Optimizer can delete junk files and cached files from your phone, as well as help you manage or delete the apps on your device. Droid Optimizer aims to fix laggy smartphones, whose constant performance issues lead to inefficient battery life and slow apps.